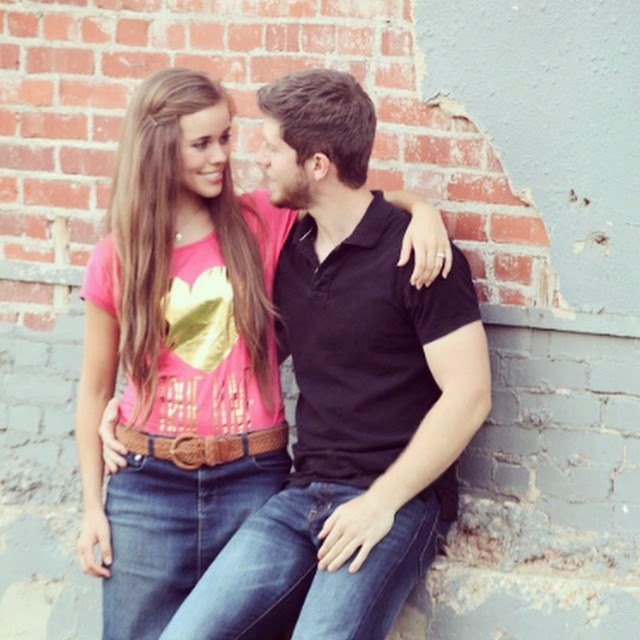 Jessa Duggar and Ben Seewald have been engaged for nearly two weeks and are counting down the days until their wedding. 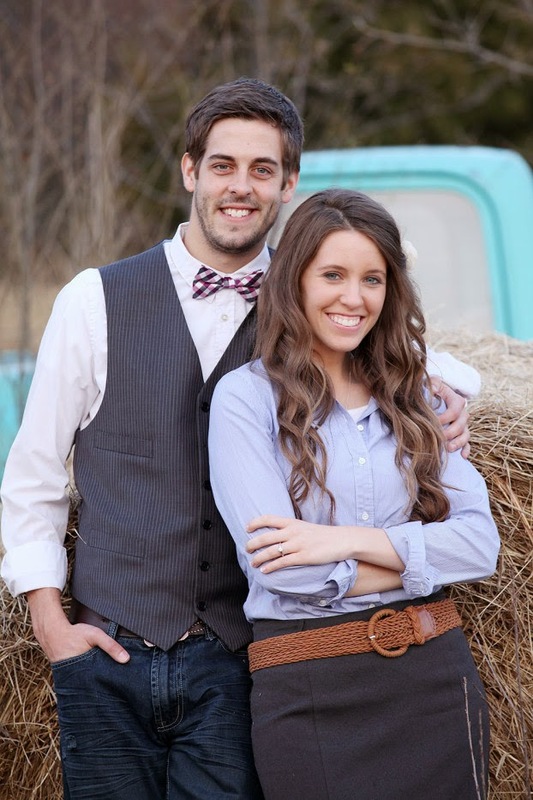 Derick Dillard proposed to Jill Duggar five months ago, and the two tied the knot three months later and are now expecting their first child. 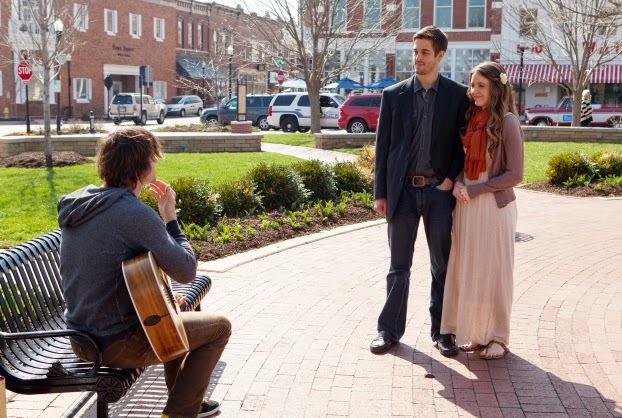 Scroll down to see newly released engagement photos of both couples. He asked Jill to marry him, and Jill said, "Yes, totally!" Jinger is a talented photographer! Adorable pictures of both couples! :) How many kids do you think each pair will have/adopt? Absolutely adorable! Can't wait for Jessa and Ben's wedding! What nice pictures! Jinger is a really talented photographer with an excellent eye! Well done! Aww, love the new pics.Jill is so photogenic.I wish the first new episode would be two hours long, wishfull thinking. Does anyone know if the camera crew filmed Jessas engagement? I so like the photos that Ginger took of Derrick and Jill. Especially the one's taken in front of the many wooden rails of fence and the one in front of the car, the latter I am sure I have seen before somewhere. I hope she has had these photos framed for Derrick and Jill as they would make a really nice gift for the newly weds to put in their first home together. jill and jessa are wearing the same belt in their engagement photos. Good luck charm maybe? In the second photo I'm like, Kiss Already..lol! Physically comfortable with each other to never have kissed. I think I would be shocked if they HAVEN'T kissed yet. I never got that impression with Derrick and Jill. I bet they saved their first kiss for the alter. Which if Jessa did kiss Ben already, I don't think it is a big deal. She will be his wife in two months. I believe nowhere in the Bible it says we should save our first kiss for the alter. When it's love it's love. Only two people know how they feel and if it's that special one. They look so hot for each other, it's crazy. I think they will have a wonderful marriage. Enough about Jill and Derick! Please give Jessa and Ben some attention now. I watched the Duggar's television show for several years now, and while I don't personally agree with everything they do, I am a Christian myself, and so I agree with the basis of WHY they do what they do. All of that to say that I don't dislike them. However, lately I feel as though they are focusing only on Jill and Jessa. I understand that these two daughters are going through big life milestone right now, but at the same time, getting engaged, married, and having babies is something that SO many people do. While they are definitely worth celebrating, I don't see why the other 17 kids need to be forgotten and pushed aside to such an extreme measure. Think about it: how often did we used to watch scenes of just the little ones and their antics, or even just a group of several different ages doing an activity together? Now we see Jill and Jessa on their phones, getting ready for dated, going on dates, and so on and so forth. Maybe it's only me. But I'm looking forward to when it will be 19 Kids and Counting again and now "Jill and Jessa and Counting". A lot of my friend have said the same thing. Thank you! What a beautiful family inside and out! I love all the pics alot!! So excited for Jessa and Ben!! In the first picture, Jessa looks so much like Anna. I thought it *was* Anna, at first! I really love all the pics!! Much happiness to both couples!! It's lovely to see the pics. One suggestion is to devote time to each. The pics are great. Would it be possible to give each couple time of their own? Hunger had a great gift at photography. I will say, Ben's pretty cute now, but he'll be a super hottie when he's about 35. The pics in the bridal shop are that not the ones from the book tour when Michelle took them to a bridal shop even though there were no engagements yet? It was in the proposal episode, If I remember correctly. Congrats to both couples! Can't wait to see what the LORD has in store for you both!! Keep shining for Him alone!!! Its funny how both couples resemble each other or look like they match each other. 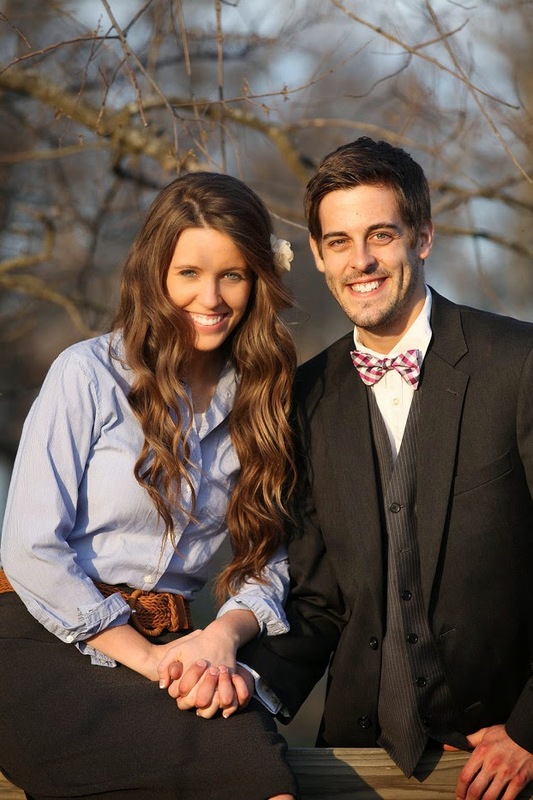 Jill and Derick are tall really skinny and there mouths and teeth have the same look, kinda goofy looking but not bad. Jessa and Ben are shorter, thicker, and there faces and chins are broader. Jessa and Ben's wedding date has been changed to November 1st on the Bed Bath and Beyond website. I thought it was odd that they would get married on October 1st since it's a Wednesday. 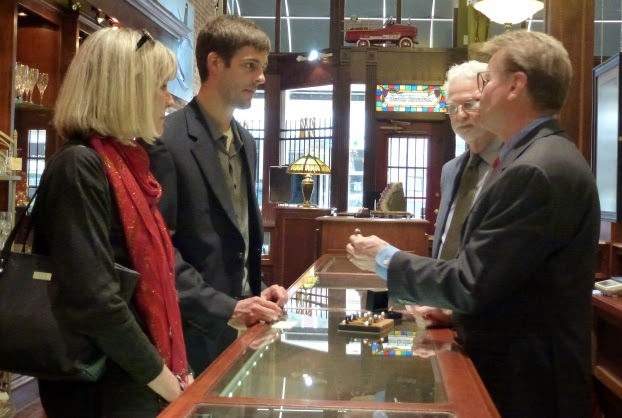 Is the date of Jessa and Ben's wedding being kept secret due to "contractual obligations" ? I adore the Duggars and Dillards, but I agree with the others. Jill had her engagement time to shine in the spotlight, she will be pregnant another 7 months. Please let Jessa have her own time in the spotlight. Best to both couples! Congrats to all!!!! I pray for many blessings for all!!!!!! I saw online that Ben and Jessa's wedding is on November 1st. Is that true or a rumor? 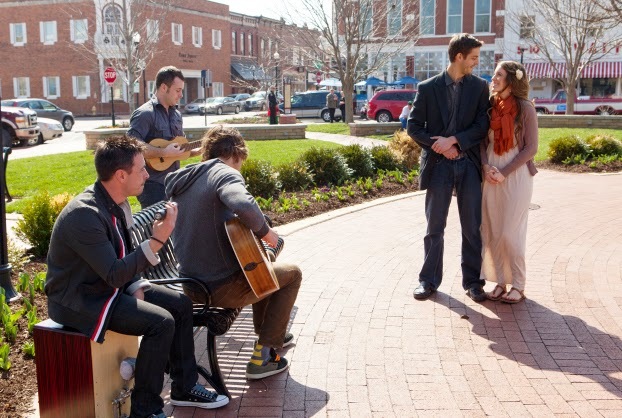 Not a big deal, but I noticed Jessa and Jill wore the same brown belt for their engagement pictures. ; ) So happy for both of these couples! Very nice first two pictures of Jessa and Ben. It almost looks like a catalogue photo. The third photo is a bit fuzzier in quality but the focus may be of the crosses in the rail. Would that be the criminal's cross and Jesus's cross? Ben seems so determined to describe himself as a criminal. Jessa sort of looks a college or university student type in these photos, not necessarily the older fashioned Duggar image of the upbringing she submitted to. This makes me wonder if Jessa may feel she missed out on something in the years from 18 to 21. I wonder if she feels she fulfilled all her goals for that season of her life or if she now thinks she could have applied herself to something she did not get done yet? Anna finished a child care training course in that time. Anyway I wish Jessa well with Ben and I hope she is happy always. Have Ben and Jessa set a date? Man, I love their outfits!!! So, baby Dilly is coming in March, and baby Seewald will probably follow 9 months from November 1, next August? I'm just very curious how a 19-year old will be able to support a family. Isn't he studying full-time and working part-time? Maybe in June Anna would have another baby too (both their boys were born in June). The wedding-dress pictures are from before Jill and Derick got engaged! They showed it on the show and Jana specifically commented that Jill did everything "the opposite way around: she got to know the fellow before meeting him and now is planning a wedding before she is engaged". I love the pictures of Jessa and Ben! They are such a cute couple. Since when did it say that Jessa and Ben were marrying in two months? 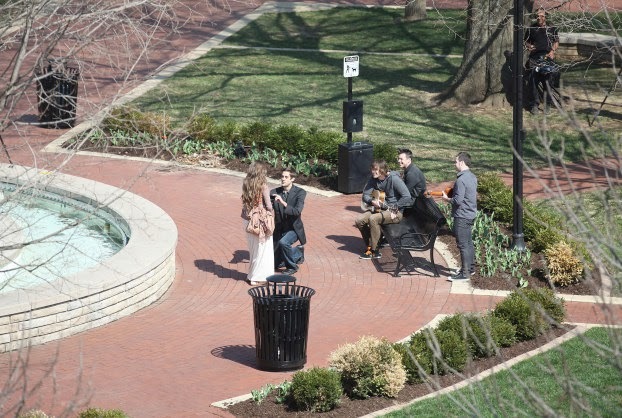 Wow, I didn't know Jinger took Jill and Derick's engagement pictures! 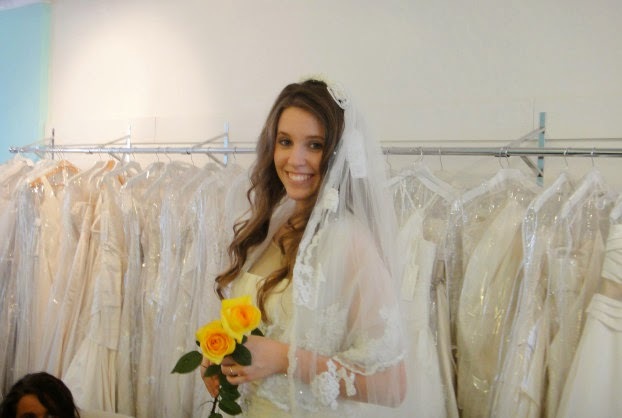 The Duggar girls share all the clothes so that's why you often see the same item being worn by more than one of them. I imagine though that Jill would've taken some to her new home or had to go buy a wardrobe of her own now and so will Jessa. The belt? I like to call it the chastity belt! Wedding date set November 1st according to their bed bath and beyond registry!! Jill is so beautiful! I bet they will have cute looking kids. 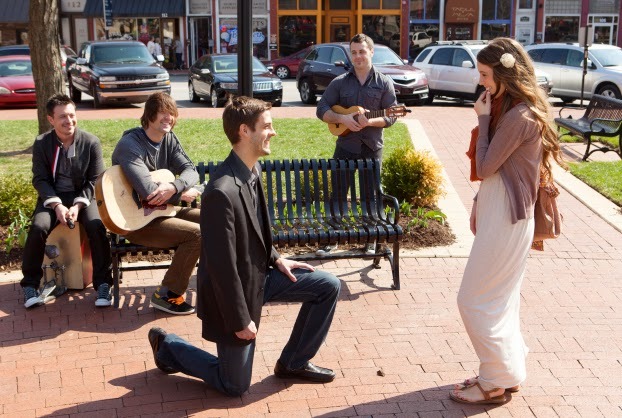 But seriously though why must the engagement photos contain Jessa wearing her skirt with her knees showing?? Does something change after your engaged? Jill's beauty shines both inside and out. And look at those white teeth! 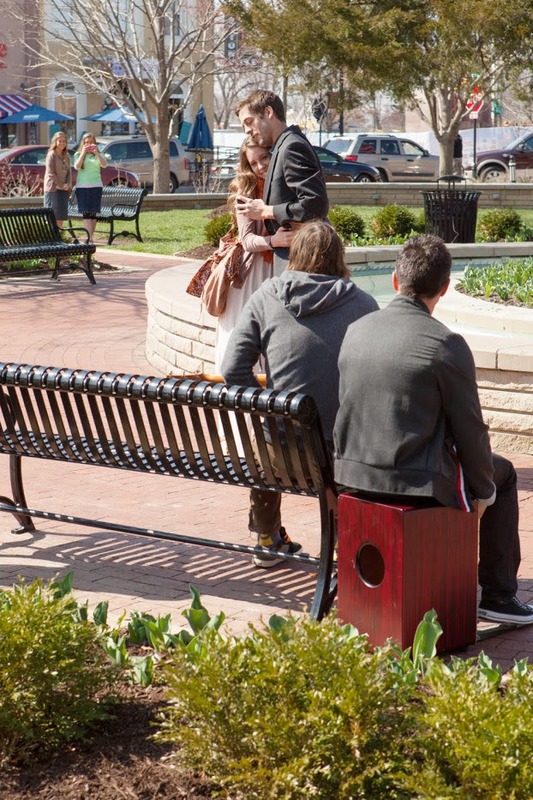 I wonder if Jessa and Ben will save their first kiss for the wedding day? So what is the wedding date? To all the people commenting about them waiting to get pregnant, this family takes their blessings (babies) whenever God gives them, they won't do anything to prevent a pregnancy. 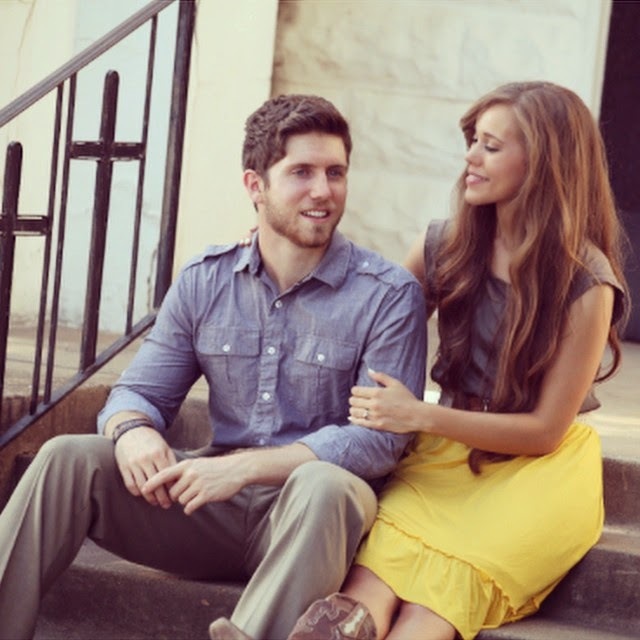 I read on some comment that Jinger and Lawson Bates are courting, is that true or a rumor? If thats true then its totally awesome! I really really hope its not a rumor. You're kidding about her skirt being too short, right? And his hand on her waist. Seriously, people! These two are engaged! Nothing inappropriate with what she is wearing or the way they are posed for their engagement pictures! 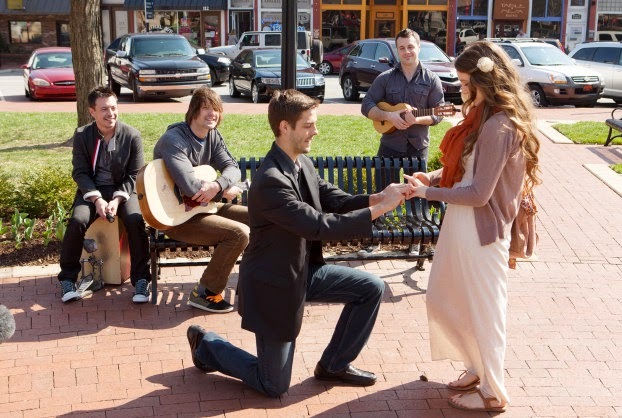 Yes, Jessa and Ben have purposed to save their first kiss for marriage. Enjoy the photos and congrats to Jessa, Jill, Ben and Derick on their blessings in the new chapters. Jill looks like June Carter Cash. Such a nice looking couple. Jill looks so beautiful in those photos. I prefer the shorter skirt on her though. The longer one reminds me of a gypsy, even though she still looks gorgeous. I do think those shorter skirts are modest yet so modern. Seeing aliitle leg is OK The Good Lord gave us legs to walk, I don't believe he intended them to be private parts and completely covered. 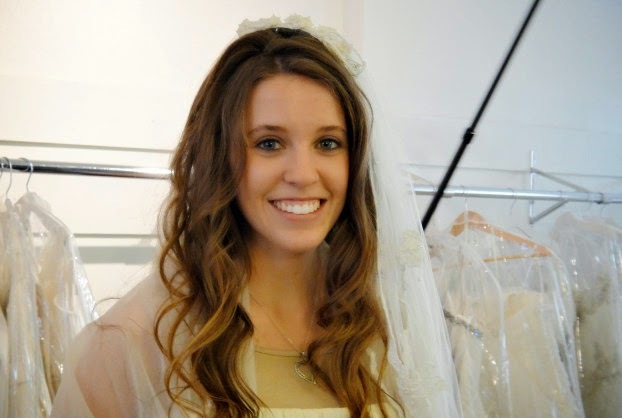 You duggar girls give modesty a nice modern look that a lot of girls of today would follow. Great role models. Can you girls start a clothing line and perhaps even call it Modern Modest or Modern Modesty? I bet it would do extremely well! That engagement song was fantastic. The songwriter did a great job. It's very catchy, with such appropriate lyrics. 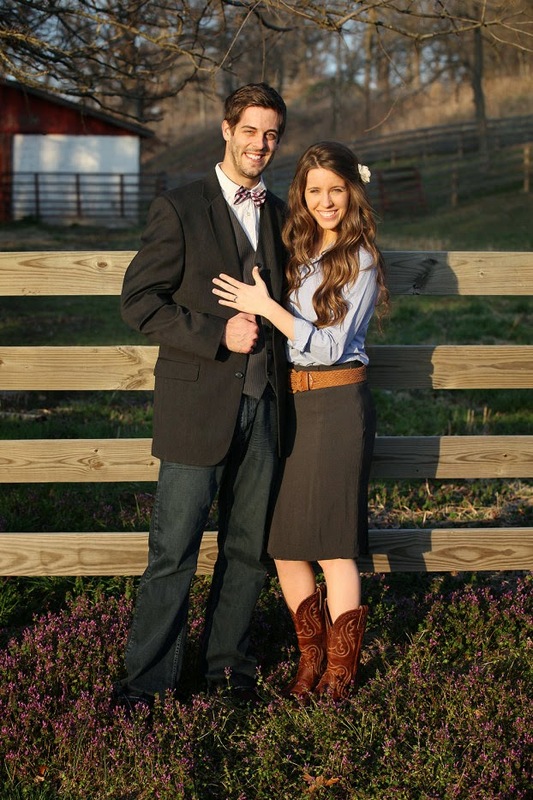 Can someone who adheres to the same dress code as the Duggars explain to me what is wrong with showing a woman's knee? I am not criticizing. I really would like to understand. Thank you!! @Anonymous What's wrong with knees? I keep asking this question, but no one answers me. I sincerely want to know.